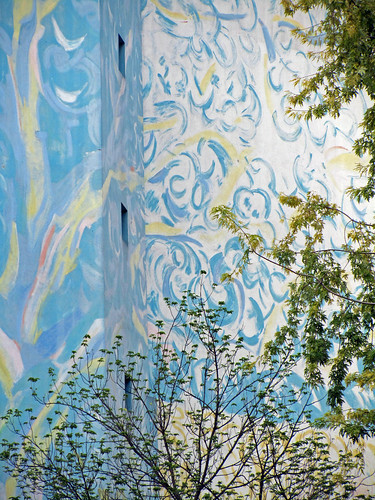 It’s not uncommon to find exposed walls of buildings which has been transformed into art canvases. At times, there are definite stories to tell. Other times, the works are more abstract and this one that I spotted today falls more in the latter category.